Virtual reality (VR), augmented reality (AR), and mobile social media will soon be part of everyday work for service technicians. VTT Technical Research Centre of Finland coordinated a sub-project forming part of the DIMECC S-STEP (Smart technologies for lifecycle performance) program. In the sub-project researchers and industry jointly developed new digital solutions and tools for industrial maintenance. The aim is to improve both productivity and work satisfaction. Much R&D has been done on the digitalisation of industry from the ICT perspective, but very little from the point of view of work efficiency and job satisfaction. "The digitalisation of industry is changing maintenance tasks and tools - an increasing number of employees now do knowledge work. The best productivity and work satisfaction can be achieved by developing work practices - and tools based on new technology - holistically, together with employees," comments Project Manager Eija Kaasinen from VTT. The key areas selected for development were: better preparation for maintenance visits, support for fault identification, personal and context-aware "hands-on" guidance, and effortless reporting already during the maintenance visit. VTT, the other research partners and the participating companies have jointly developed several pilot applications. Before heading to the maintenance site, the service technician can check the service environment virtually with VR glasses. 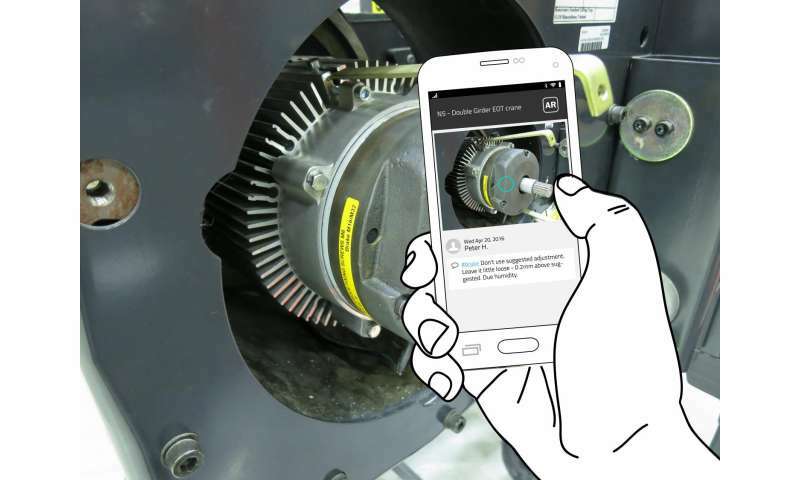 Using augmented reality (AR) applications, a remote expert can display hands-on instructions to the technician. Colleagues can share tips on the maintenance site and good practices with social media and AR. AR and VR tools are maturing to the point where their price and functionality allow their use widely in industry. AR and VR applications will rapidly proliferate in a number of industrial maintenance tasks over the next few years. The project's results can be applied in a range of industrial tasks in addition to maintenance. The solutions have been developed for the needs of international companies with extensive and global maintenance operations. That is why the programme is having a huge impact on those companies, who are now adopting the best solutions. The project began in June 2014 and ended in late 2016, as one of the four projects under DIMECC's S-STEP (Smart technologies for lifecycle performance) programme. The following organisations participated in the programme: DIMECC Ltd, 3D Studio Blomberg Ltd, Bronto Skylift Oy Ab, KONE Corporation, Konecranes Plc, Mevea Ltd, Wärtsilä Corporation, Aalto University, Lapland University of Applied Sciences, Lappeenranta University of Technology, Tampere University of Technology, the Tampere Unit for Computer-Human Interaction (TAUCHI) at the University of Tampere and VTT Technical Research Centre of Finland Ltd. Tekes funded the project alongside the participants. The project won the DIMECC Prize for the best result of 2016. A number of continuation projects are under way and new companies have joined to the work.